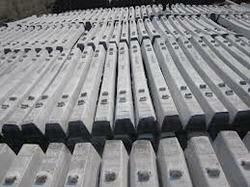 Patil Group has obtained technology and manufacturing license for composite sleepers from Tie Tek, USA. These sleepers are manufactured using recycled materials. The group developed composite sleepers as an alternative material in lieu of steel channel sleepers for girder bridges. ISCO Track Sleepers Pvt. Ltd.
Icon Sleeper Track Pvt Ltd.